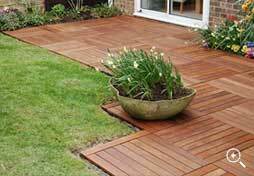 wide range of applications. Please choose a category to see how. 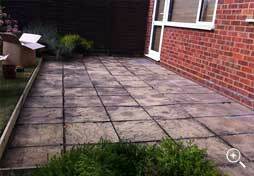 Is you patio looking a little tired? 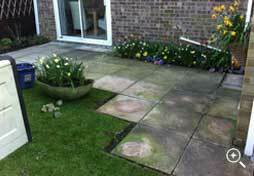 Are you bored of jet washing the slabs in an effort to maintain appearance? 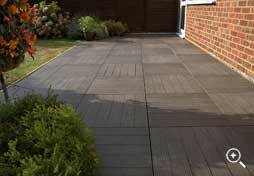 Well a patio makeover with our Levato Mono paver system may be the answer to your prayers. 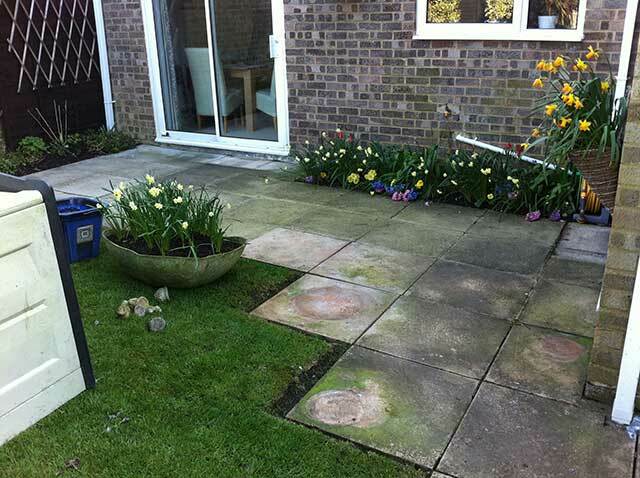 Levato Mono pavers can be installed directly over your existing paving slabs regardless of how uneven they are (click here to see example). 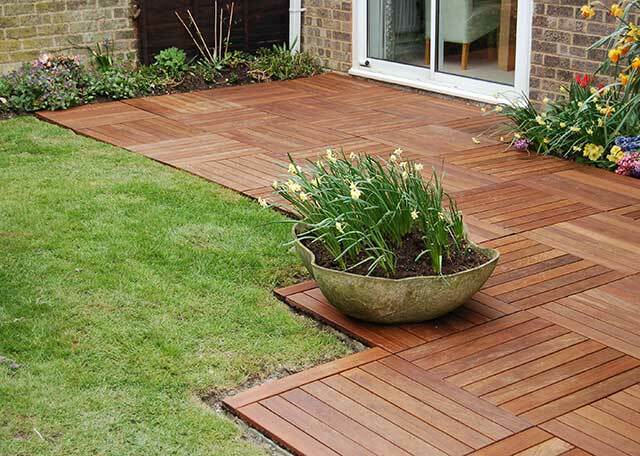 The Levato pavers also offer massive over life savings in maintenance, as they require not pointing or sealing; they will never fade or ware; they cannot be stained and will not grow mosses or moulds; they are also frost proof, fire proof and extremely slip resistant. 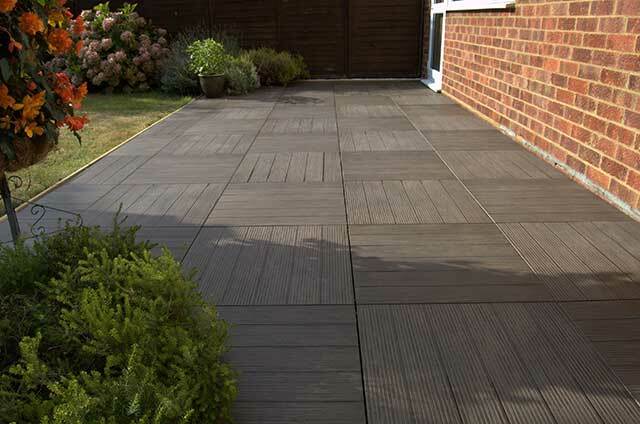 Please give us a call on 0845 2700 696 to discuss how you could transform you patio area, with this highly attractive and versatile paving system. 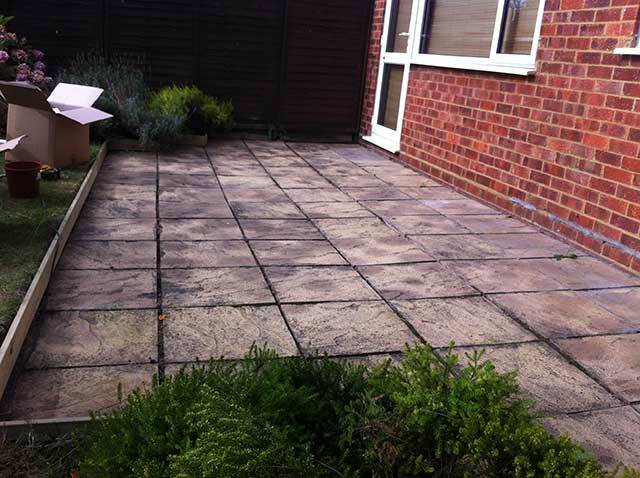 © 2012 The Deck Tile Co. Ltd.